The ski industry certainly took a few hits from the odd hand that Mother Nature dealt this year. Skier visits totaled 53.6 million nationally, a five percent decrease from the previous season's total, according to the National Ski Areas Association (NSAA). In fact, every region—even the Northeast, despite record numbers in Vermont—showed a decline in their respective numbers of visits this season. These crucial skier visits are what keep mountain economies afloat and the ski industry as a whole churning. The last ten years have averaged 57 million skier visits per season. Last season’s total skier visits were six percent below that average, however, considering the low snowfall it could have been much worse. Last winter marked the fourth year of the fierce California-Nevada drought. Sierra-at-Tahoe was forced to close March 15. The Pacific Northwest faired no better, leaving die-hard powder skiers depressed. Mount Baker Ski Area, famous for its average snowfall of 641 inches, closed on March 9. According to OnTheSnow.com, Mount Baker closed with a total of 124 inches of cumulative snowfall for the season. Meanwhile, the Northeast was rewarded with a lengthy season that allowed for turns into May. Even still, skier visits decreased. The long season, high natural snowfall, and exceptional conditions for snowmaking, however, helped keep the decline negligible with only 0.8 percent less skier visits than the previous year, according to the NSAA. Despite the slight overall decrease in the region, Vermont as a state had its greatest season on record, according to the Vermont Ski Areas Association. This year's total of 4.7 million visits surpassed their previous record, set in 2001. The total also exceeded Utah's season total of skier visits. It's not often that East Coast skiers are treated to better conditions than their counterparts in the West, but this year, they took advantage of the situation. 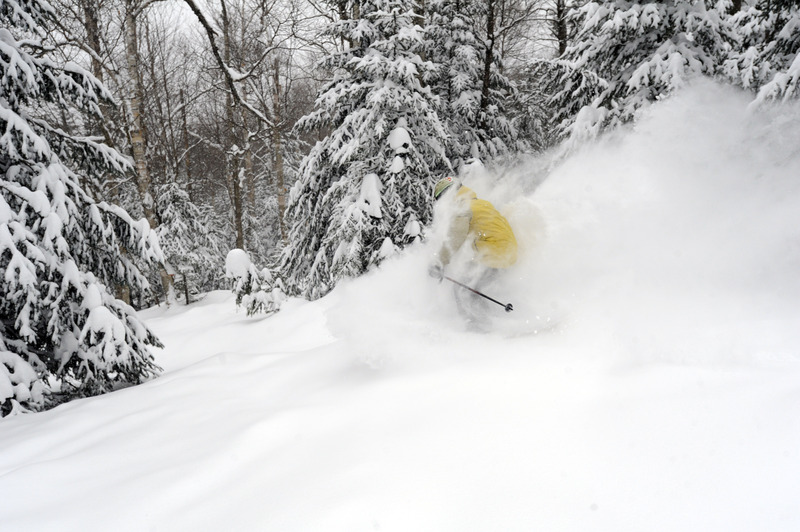 As Mad River Glen local Adam Wheeler speculated, "As far as Vermont getting more skier visits, that might have been due to people not making their annual trip out West." Vermont was also heavily aided by snowmaking. Temperatures stayed consistently low, allowing for the success of snowmaking efforts. According to Ski Vermont, 2,255 inefficient snow guns were replaced with 2,721 low energy snow guns at 13 of the state's resorts, allowing them to make more snow with less energy. Mad River Glen, which relies on natural snowfall, did not fair as well as the state's record numbers may suggest. According to Eric Friedman, the marketing director who has worked there for 20 years, the conditions were great, but the ski area's numbers were only OK. Cold temperatures kept the famous East Coast ice away, allowing for consistent, phenomenal skiing. Unfortunately, those same frigid temperatures, courtesy of the polar vortex, brought Boston its snowiest winter on record, keeping many skiers away. When skiers did venture out of the cities, they did not go as far north. "I think this year the southern resorts got more snow, and those are the bigger resorts," Friedman stated. "Their numbers are going to get skewed, and I think that was why the statewide average was so good." The lack of skier visits in the Rockies contributed to the nationwide decline. Typically known for deep, dry powder, Utah's statewide snowfall was only 41 percent of average. Utah saw a 4.9 percent decline this year to 3.9 million skier visits, compared to last season's total of 4.1 million the previous year. According to Paul Marshall, the director of communication at Ski Utah, one reason the state's numbers did not drop even lower was the mountains' investments in grooming and snowmaking equipment, much like Vermont. Season pass holders and destination visitors, alike, kept skier visit numbers at a healthy level. Colorado, too, suffered a low snow year, but actually did very well in keeping their numbers from dropping. 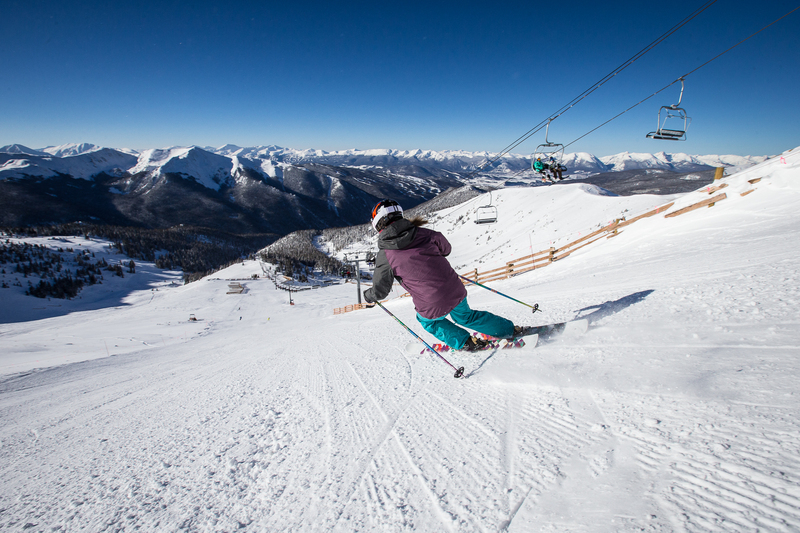 The state only saw a half percent decrease in skier visits from the record breaking 2013-2014 season for the 21 resorts that are members of the state's marketing organization, Colorado Ski Country USA. As Jennifer Rudolph, a spokesperson for the organization, noted, "We saw that even despite the variances in weather and snow, our destination visitors were committed to coming to Colorado." These destination visitors, many of which came from states to the west, were an integral part in keeping numbers up for the 2014-2015 season. Colorado received good snowfall early in the year, which resulted in many destination visitors booking vacations, but the state was struck by a dry spell in January and February. The late season saw high snowfall that strengthened the numbers before the end of the season. Arapahoe Basin, the Colorado ski area famous for being one of the first to open and the last to close, capitalized on the late-season snow. They finally closed operations for the season on June 14. According to Adrienne Saia Isaac, the marketing and communications manager, the late season snowfall was a welcome and valuable turnaround for the season after a dry middle of the winter. Because they only closed so recently, Arapahoe Basin won't have finalized numbers for their skier visits until July, but early estimates indicate, "it was a very, very good year, if not a record-breaking year," according to Saia Isaac. Vail Resorts is not a member of the Colorado Ski Country organization, so its large ski areas—Breckenridge, Keystone, Vail, and Beaver Creek—do not report their respective skier visit numbers. Vail Resorts did however report that its entire network of 25 resorts showed only a 1.4 percent decline in skier visits this year. Their revenues were held high by season pass sales and a stronger season at its Colorado resorts than those in California and Utah. Moving forward, the ski industry looks like it will continue to rely on snowmaking, destination visitors, and multi-mountain passes to keep skiers coming out to the slopes. After all, snow dances and offerings to Ullr don't seem like they will be enough to turn things around. Good luck and greater snowfall would be very welcome for the 2015-2016 season.